Turns out that the kind of heart attack that I had (caused by a 95% blockage in the big left anterior descending coronary artery) – the so-called widowmaker heart attack – may actually be relatively uncommon in women. You might guess that fact by its nickname. It’s not, after all, called the “widower-maker”. Instead, it appears that a significant portion of women suffer from another form of heart disease altogether. 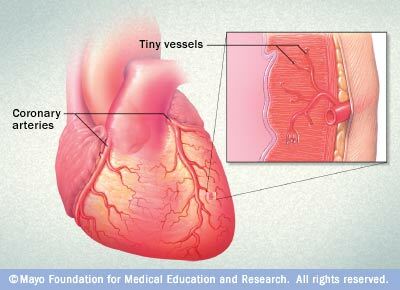 It affects not the superhighway coronary arteries but rather the smaller arteries, called microvessels. These tiny arteries deliver blood directly to the heart muscle.